Dallas/Ft. Worth, TX—Revelation is one of the most difficult books of the Bible. Most of us can’t really picture the images the Apostle John describes. We’re often left scratching our heads: Who are all those strange characters? What do they have to do with my life? Because Revelation is primarily a vision, we need more than words to understand it—we need pictures. Artist and teacher Debby Topliff has painted the scenes described in the last book of the Bible on a 5 x 7 foot canvas in her Saugatuck, Michigan studio. In the DVD study Painting Revelation: A Visual Exploration of the Last Book of the Bible, Topliff tells the story of Revelation by taking the viewer through 29 scenes from the book. The fascinating—and sometimes frightening—visions described in Revelation are unlocked in unique ways as Topliff depicts the apocalypse of John with a spectacular array of colorfully rendered scenes. The DVD-ROM also includes downloadable study guides and discussion questions for individuals and small groups who wish to spend more time with the book. 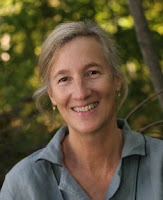 Debby Topliff holds a master’s degree from Trinity Evangelical Divinity School in Illinois. Painting Revelation began as an expression of her own personal study of Revelation. “Several years ago, I challenged myself to dive in and swim around in the murky waters until I could sort things out and ‘take the dragon by the tail.’ When I emerged—with charts and drawings in hand—I thought it would be fun to put what I’d learned down on canvas,” she recalls. The resulting work of art, with its vibrant colors and primitive folk art style, is a modern icon that will speak to children and theologians alike. Painting Revelation has drawn enthusiastic endorsements from Rob and Kristen Bell, founders of Mars Hill Bible Church; John Ortberg, author and teaching pastor of Menlo Park Presbyterian Church; Brad Long, author and executive director of Presbyterian-Reformed Ministries International; and many other pastors and laypeople who have experienced Topliff’s unique view of the book of Revelation. The 45-minute DVD is divided into five teaching sessions. Each section begins with a personal introduction filmed in the woods surrounding her Michigan home, then moves into her studio. Though the trend among many Revelation buffs has been attempting to decode every event and predict the likely identities of the characters and nations, Topliff clearly tells the story in words and pictures, much like the Apostle John must have experienced it. “My intention is to show what the Bible actually says so you can uncover its meaning for your own life and receive the blessing promised to those who read and hear the words of this prophecy and take it to heart,” Topliff says. In addition to the video, the DVD includes a 2-minute preview, a jpeg photo of the entire painting, a visual key and Scripture guide to the painting, and a 6-week study guide with leader’s guide, discussion questions, charts, and worksheets. The DVD is appropriate for all ages and can be used in a variety of ways. 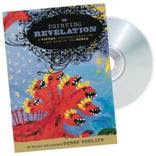 The DVD Painting Revelation: A Visual Exploration of the Last Book of the Bible ($24.95) is available for purchase through Amazon, Christian Book Distributors, and http://www.paintingrevelation.com/. A short clip from the video can be viewed on the website, as well as samples of the study materials. This is the first DVD I've had the opportunity to review and I'd like to start by thanking Tracy McCarter, Media Specialist @ The B&B Media Group. This came along at a very opportune time, though I wish it would've been much earlier. I say that only because our pastor has spent the last year and a half preaching from the book of Revelation! I know he'd have loved to use this as a resource during his teaching. I honestly didn't know what to expect when I popped this into the DVD player. I thought there were going to be multiple paintings that she was going to lead us through. It turns out there is one large painting and she takes us on a journey through her depiction of the Apostle John's revelation. The painting, as Debby went through it, changed from being childlike to God inspired. As she begins each section of her work, she takes us to the woods where she lives. She gently explains what's going on in the new part of the painting. Revelation comes to life through her paint brush. I've gone from somewhat skeptical of the cover to being enthralled with her account of what John is hearing, seeing, and learning. Painting Revelation would make a fantastic resource for a church or someone leading a small group. We can all learn a lot from Debbie's retelling of Revelation on canvas. If you'd like to check out this DVD, leave me a comment. It's really worth it! Make sure you leave your email address so that I can contact you if you win. Please, only U.S. residents at this time. Thank you for entering. Contest will end May 22. This DVD would be such a remarkable gift to win. I avoid Revelations, but do read it when my "Daily Bread" meditation calls for it. I think this would be an easier way to understand what happens. In my heart I don't fear the end times as I love Jesus....I fear it for my friends that don't, but to me, with the way the world is, it would be a relief in many ways. This would be an awesome gift to give my husband. He LOVES the book of Revelations. I've got a better handle on it than I once had, but this would be great.